There is a prevailing consensus among Australian companies that disapproves purchasing a marketing database from another company. For one, companies in the Australian B2B industry are wary about the disadvantages of doing so. They make a pretty good case by saying that such lists will only hurt a lead generation campaign more than they can help hike revenue, citing several compelling reasons (for instance, low-quality contacts and invalid addresses). But as far as convenience goes, buying a pre-organized list can actually help in easing the too often intricate process of building one from scratch. There are countless lead generation services in the “land down under” that offer marketing databases for a wide array of industries. Still, companies should know which brand to trust. If you consider getting such lists to increase your lead volume, here are a few important things to put in mind. When choosing a service provider, make sure to go for lead generation companies that have well-documented successes in terms of providing quality lists for their previous and existing clients. 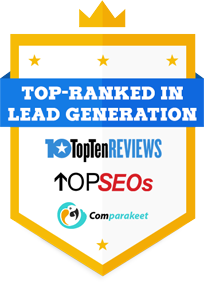 If you stumble upon a lead generation company you think is the right fit, verify its track record by looking for reviews where the company is mentioned. It’s best if these were written by big brands, so you may know how much of a big deal it is. Before buying the list, you should be able to ask for sample data first by making calls or sending emails. Quality testing is essential and it should play a significant role in deciding whether to purchase a list or not. Also, before making a deal with a service provider, make sure that there are guarantees. In the off-chance that there are invalid addresses included in these lists, will the service provider give you refund or replace these contacts with validated ones? Ask your service provider about this. And we all know that reading the “terms and conditions” can be pretty boring, but it actually pays to read every single word in the contract before signing up. You may not know it, but you may actually pay more than you should because there are certain provisions in the contract that obliges you to pay extra costs. So, as a cautionary measure, read the terms in full. You may also ask the service provider about these extra costs. Lastly, always make sure that the lists are regularly cleansed of unwanted data. Ask the service provider if it has such a capability. Apparently, data cleansing is crucial since contacts lose quality over time. Continuous data cleansing ensures your lists will contain relevant data so you may not spend a cent on unresponsive contacts.